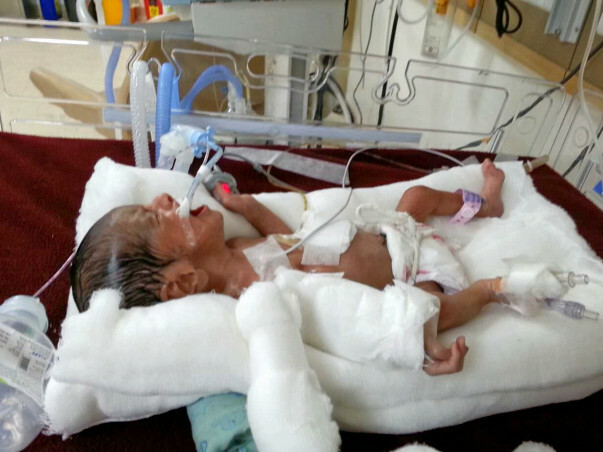 1-month-old Yash was operated for congenital dyphramatic hernia and is on ventilator since then... 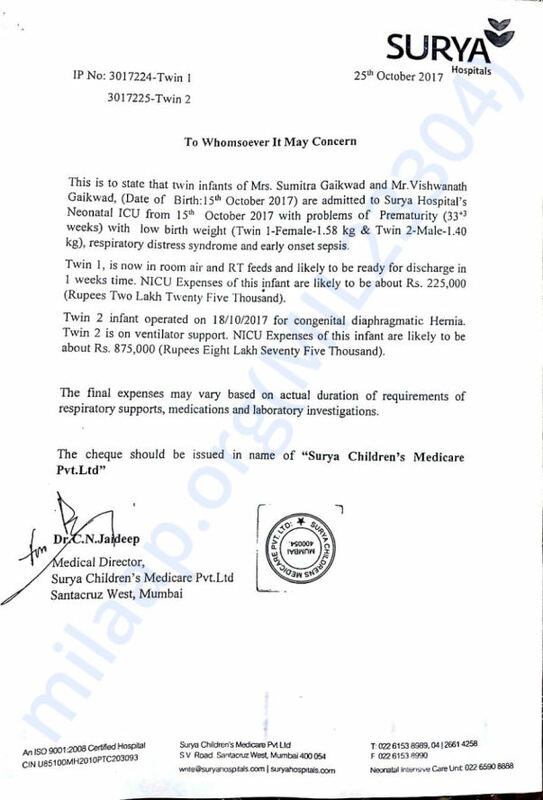 Admitted at Surya hospital santacruz west we have paid 2.50 lakhs for his treatment in 1 week and doctor Has estimated expenses to reach 11 lakhs or more depending on his requirements for respiratory supports .We need your kind help and support to raise the amount for his treatment. Here is an update on Yash. Yash has been discharged and is currently at home. He is doing very well and has to meet the doctor for checkups every two weeks. The doctors said that his improvement very well and will be completely fine soon. Thank you for your support and love for Yash. Yash has undergone the treatment of Congenital diaphragmatic hernia. He has been shifted from the ventilator two weeks ago. Initially, he was being fed through pipes. Now he has started eating food orally and through the bottle. He is improving and recovering soon. Currently, he weighs approximately 2 kgs. The doctors are of the opinion that he can be discharged soon. He can visit the hospital for checkups and further tests after the discharge. Prayers for this baby to completely heal!